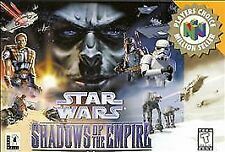 Star Wars Shadow of Empire for Nintendo 64. Nintendo 64. Nintendo DS. Nintendo NES. Super Nintendo. This item is genuine, original. How long will my order take to arrive?. If you are not happy with it we will work to fix the problem. For sale is copy of Super Mario 64 for Nintendo 64. Trending at $13.29eBay determines this price through a machine learned model of the product's sale prices within the last 90 days. Item is in good clean working condition. Cruis'n USA (Nintendo 64, 1996) Game only . Condition is Good. Shipped with USPS First Class Package. All of our games are 100% original and never reproduced or fake. We hand clean all games prior to shipping. 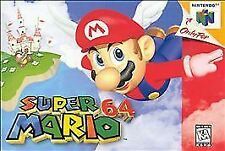 Paper Mario Nintendo 64 (1996 US version) TESTED!!! Super Mario 64, Nintendo 64 Game Cartridge. Condition is Good. Shipped with USPS First Class Package. This game cartridge was bought used and works. Star Wars Shadow of the Empire for the N64. The Fine Print. 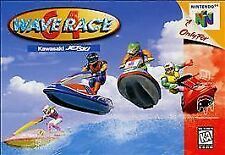 Cruis'n USA Nintendo 64 N64 OEM Retro Racing Arcade Video Game PC Cruisin GOOD! Pilotwings Nintendo 64 N64 Authentic Sky Diving Video Game Cart OEM Retro GREAT!